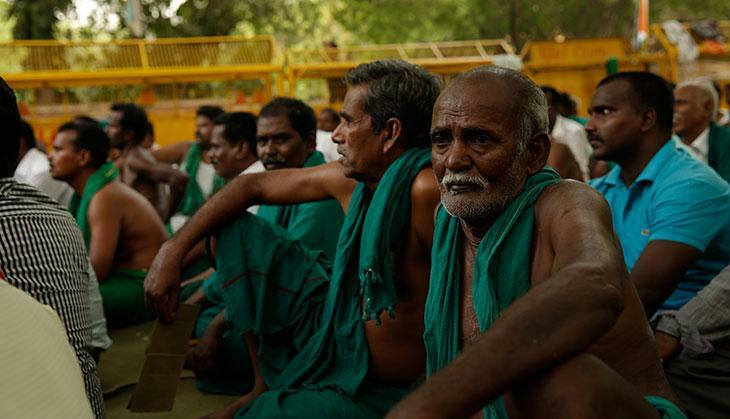 As temperatures in Delhi soar, farmers from Tamil Nadu continue their protest at Jantar Mantar in New Delhi despite the blistering heat. “We are not going back till the Centre responds to our demands. We will die here only”, says Swami Malaywimalanatan from Thanjavur district of Tamil Nadu, who has been in Delhi for the past 22 days. 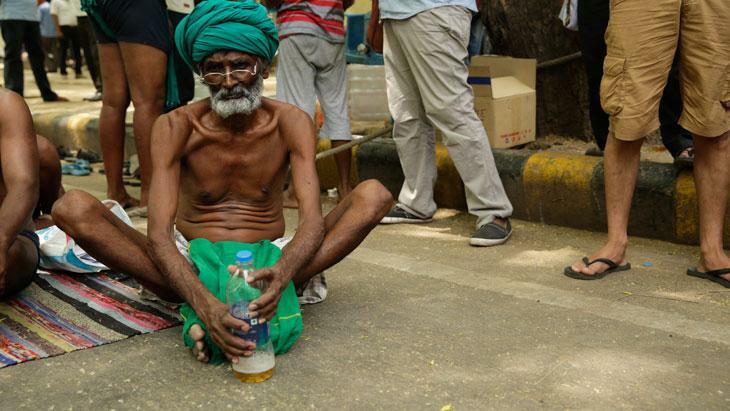 Protesting over drought relief funds and a farm loan waiver, the farmers even resorted to drinking urine and eating their faeces to make their voices heard on 22 April. 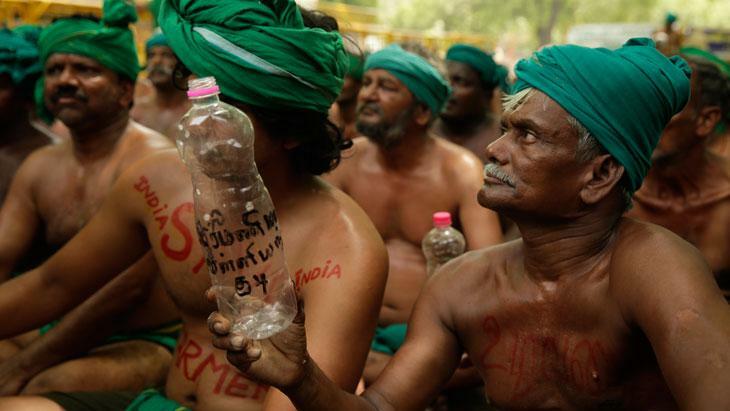 The police tried to stop them, but the farmers continued with their method of protest. 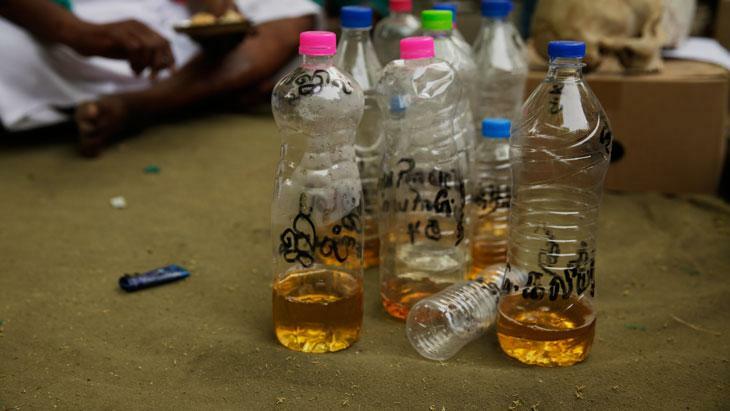 When the police tried t stop them, P Ayyakkannu, the 72-year-old state president of the National South-Indian River Linking Farmers Association, said: “As we are not allowed to drink urine, we will collect it in a bucket and take it back home. We don’t have water for our lands, so we will use this." This tactic comes after several others that have been employed to grab the attention of the media such as staged suicides, mock funerals, stripping in front of the Prime Minister’s office, shaving off half of their moustaches and beards, holding mice in their mouth, hanging skulls around their neck which they claim to be of the farmers who have committed suicide because of massive debts. What they seek is a drought relief package of Rs. 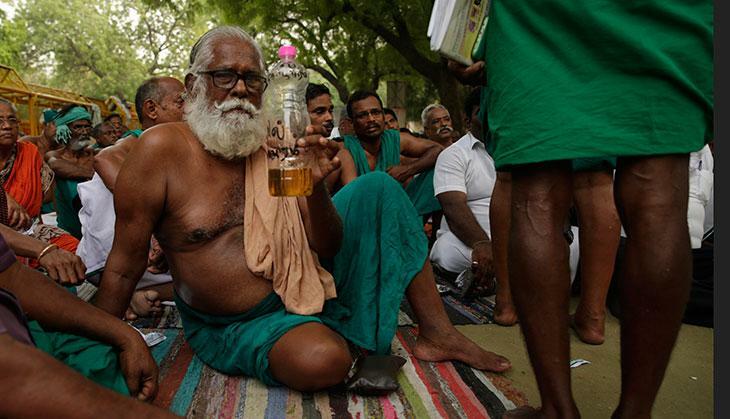 40,000 crore, a farm-loan waiver, and that a Cauvery Management Board be set up by the Centre. 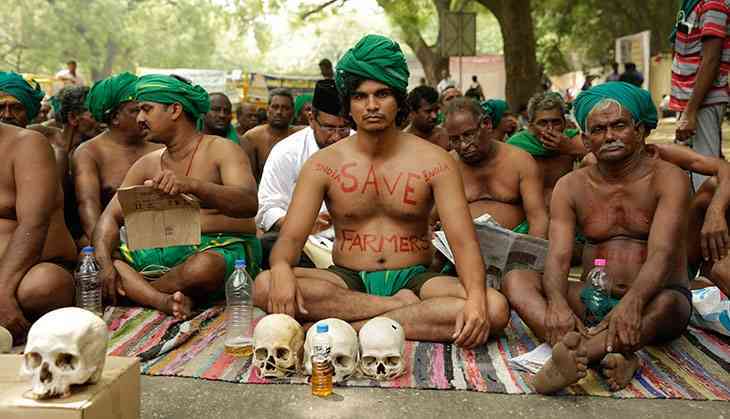 Meanwhile, the farmers have received a resolution from the opposition parties in Tamil Nadu asking them to come back and promising full support. 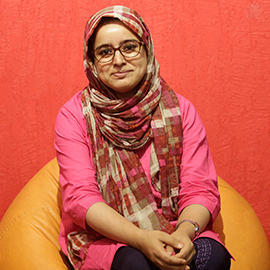 On 23 April. they will be meeting with Chief Minister K Palaniswami. 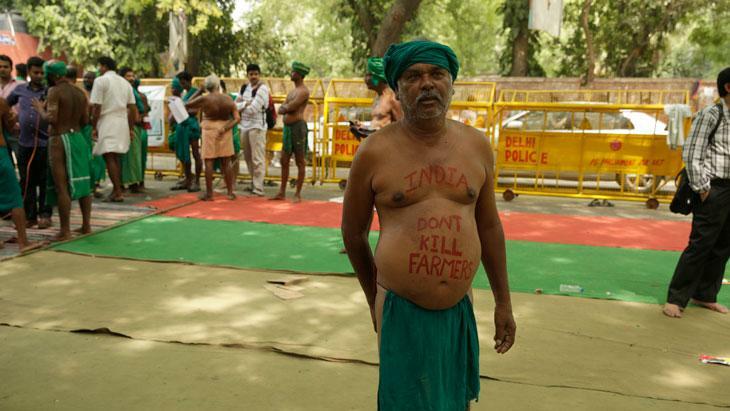 Over the 40 days that the protest has gone on for since 14 March, it has become among by far the most memorable farmers' protest to have been staged in Delhi.